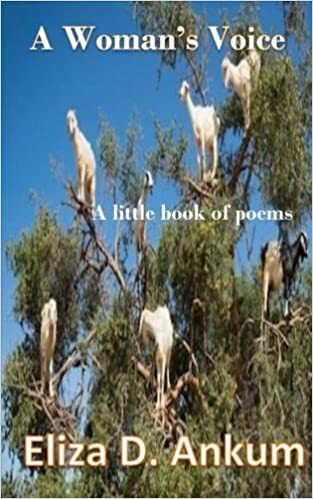 e-book cover Print book cover A Woman’s Voice: A Little Book of Poems is a look inside the mind of a transplanted southern woman. The poems within are about how she feels about her southern roots, her mother, love, loss, betrayal, acceptance, and what living in the north has taken from her. And finally, growing old and knowing without a doubt that there is a God. ‘The Breeze Through the Lilac Trees,’ sings a sweet song of the South as seen through the eyes of an innocent young girl. But in the poem, ‘Aunt Jemima,’ she is older and acquainted with the harsh realities of race. ‘Sybrina,’ recounts the ordeal of a woman suffering an unimaginable loss. ‘Yellow Dresses,’ celebrates youth and beauty while, ‘I am Becoming a Budgie’ tells of a woman dealing with growing older and losing her much celebrated beauty. 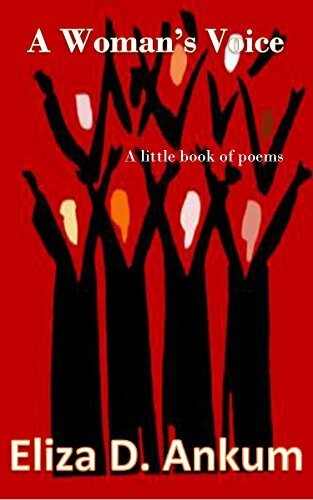 A Woman’s Voice: A Little Book Of Poems is a little book but it’s a powerful book.